Everyone's favorite headache may be getting a break. In a dramatic turn of events, Justin Bieber's charges have been dropped for his DUI and driving with an expired license that stemmed from his Jan. 23 arrest, according to Bieber's Miami-Dade County records. The only charge that still stands is resisting arrest without violence. 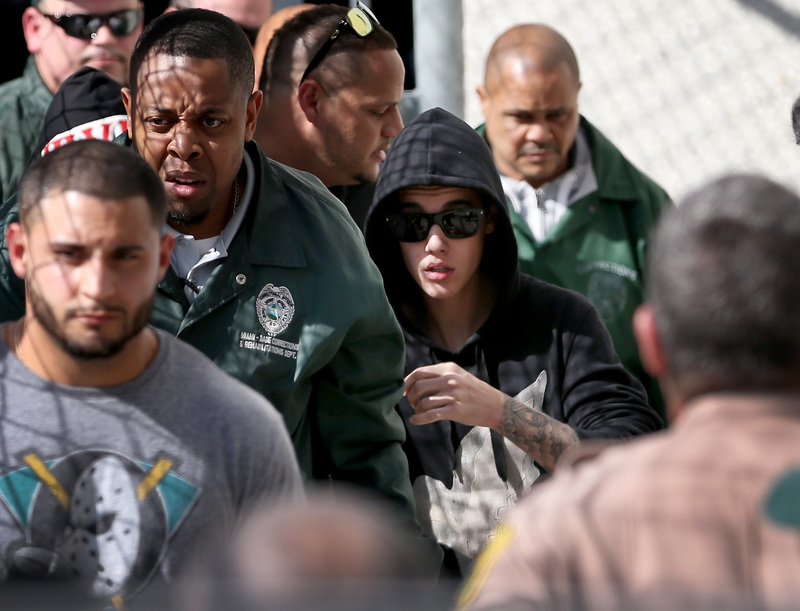 Also, Bieber's next court hearing was at 8:30 a.m. Monday morning, according to the website. Bieber's case has been met with hope from Beliebers, starting a #FreeBieber trend on Twitter, and disdain from pretty much everyone else. Even though Bieber was freed on a $2,500 bond (and then took a vacation in Panama, naturally), there were reportedly inconsistencies in the police report. Bieber was initially charged with a DUI, even though his blood alcohol level was measured as .014, which is below the .08 legal limit, and below Florida's .02% limit for drivers under the age of 21. Police records said that Bieber "stunk of alcohol," and had "bloodshot eyes." The singer also admitted to drinking, smoking weed, and taking pills before he was pulled over. Police officer Fulgencio Medina reported that Bieber didn't want to be searched, and said "I ain’t got no f**king weapons, why do you have to search me, what the f**k is this about?" The records also say that Bieber and his rapper friend Khalil were also going over 55 mph in a 30 mph zone. According to TMZ, they were going only 27 mph when the police were on their tails. Maybe when Bieber was arrested, he was tired of the police being on his case (after a silly little $20,000 egging scandal) and chose to resist arrest. After all, wouldn't you act uncooperatively with law enforcement too, especially if you had nothing to hide?